If you suffer from normal and mild forms of memory loss, then you might benefit from supplementation with creatine. Creatine, available everywhere and dirt cheap, is best known as a supplement for bodybuilders, but it also stimulates the functioning of the brain cells involved in memory functions. This is evident from a humane study published by British scientists at the University of Chichester in 2007 in Aging, Neuropsychology, and Cognition. The researchers divided 32 subjects with an average age of 76 years into 2 groups. For 2 weeks, one group took 4 doses of 5 grams of creatine daily. The subjects in the other group received a placebo. After 1 and 2 weeks of supplementation, the subjects showed 10 photos of persons, with an indication of a profession. An hour later, the researchers gave the subjects 20 photos. The photographs that the subjects had seen before were included, and the subjects were asked to designate them. For each photo that the subjects could identify, they got 1 point. If they also knew what the profession of the person in the photo was, they got 1 point extra. After 2 weeks, the subjects in the creatine group scored higher than the subjects in the placebo group. "The explanation for our data, so far proposed, has assumed that the effect of creatine supplementation is to make ATP resynthesis more efficient", the researchers write. "There is no doubt that elderly people require more energy, in order to carry out cognitive tasks, than do younger individuals." "In conclusion, we can say that creatine monohydrate supplementation had a beneficial effect on [...] the cognitive tasks used in this study", the researchers write. "It is possible that longer periods of loading would be more beneficial and aid even the complex central executive tasks." 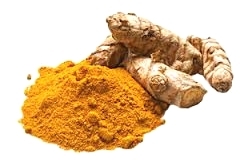 If people aged over 50 take a supplement with a highly absorbable form of curcumin every day, their memory improves. No, the epidemiologists in Oxford, UK, didn't get people to take vitamin B12 supplements. But from their study it's possible to conclude that extra vitamin B12 keeps the brain in good condition in the elderly.